If you have ever started your own business or been a part of a business upstart, you are aware of the insanity involved in the process. 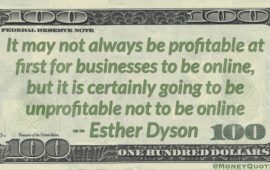 Money is, of course, the issue and is heavily linked with finding customers. If the minutia of your new business venture goes to bed with you at night and you find that your brain is working overtime, just like a digital copier, you may want to consider that it’s not money concerns that are driving you insane, it’s the people within your organization who are creating it. One of the most difficult processes to conquer is a practice known as the Pareto principle, or the 80/20 Rule. In a nutshell, this theory states that 80% of effects come from 20% of the causes. Simply put, this means that 20% of the people on this planet are the ones who create 80% of the success. The principle has been soundly studied and has been found to adhere to almost any human effort. For example, 20% of the people own 80% of the land; 20% of the businesses rake in 80% of the profit; 20% of your thoughts create 80% of your success. Got the picture yet? With this in mind, how much of your personal effort is 80% spinning your wheels? There are certain fundamentals that dictate a business’s success. One of the most commonly left out factors is a level head, one that can turn off and absorb before reacting. It’s like the computer that froze and you hit the escape key 30 times; that’s 30 extra commands that can thoroughly jam the computer and halt its processes. A smart thing to do is unplug it—walk away and let the memory drain. This idea becomes more critical when dealing with the human mind because when you think too much, you become emotionally exhausted and it doesn’t matter how many times you reboot yourself, you just can’t think straight for a few days. So, the brain defaults to “exit”. A good business needs good tools like decent computers, digital copiers, and a very dependable coffee maker. Why are those so important? Because your business is the people you hire. The tools allow them to be creative for you. You can enlist the best people in the world, but if they are not seen as an asset, they put their top 20% somewhere else and you find yourself paying for the 80% sludge. If you intend to use the brilliance of the Pareto principle, you have to be the first one to put it in motion and demonstrate through action that it works. Once that occurs do something that most “officials” in business hate to do: delegate. Yes, that means you have to let go and allow the brilliant people you just hired to create. Give them the freedom and the proper tools. Then, the desire to create—something the human mind loves to do—takes over. The Pareto principle works in your favor and you can relax and be happy with the direction your business is going. You’ve allowed your mind to scatter rapid fire every night worrying about details of your business, not allowing yourself enough time to truly absorb the true direction and focus, but now you can slow down. Type out a list of your concerns and use the digital copier that you just acquired to get your ideas and concerns out to your staff. Let them become a part of the process. That leaves you the time to use the Pareto principle and let it flourish in your favor.